Peel, shred and drain the cucumbers. Place them on the paper towel and squeeze as much moisture as possible.Place yogurt into a separate bowl. Add dill. 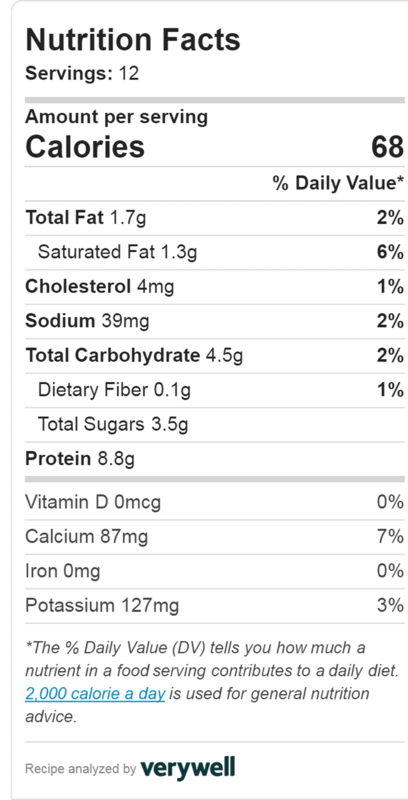 Mix cucumber into yogurt. Add salt, black pepper, cayenne pepper, garlic and lemon juice; mix thoroughly.Transfer to a serving bowl and garnish with a sprig of dill and a sprinkle of cayenne pepper for color. You may serve it immediately or refrigerate for a couple of hours. As you already know how to make Greek Yogurt in Instant Pot, it's time to make one step ahead and learn about Greek appetizer dip which is called Tzatziki sauce. It is fresh, quick and simple Greek finger food. To enjoy its full flavor and creaminess let it stay in the freezer for 3-4 hours or overnight. Originally the Greeks put it on pita or any savory food to make the taste milder and softer. Don't forget to warm up or grill you pita before adding Tzatziki dip. Feel free to use your fingers as it is a Greek finger food at the end of the day. The best recipes for busy families is the motto of our website. Make healthy, yummy easy appetizer recipes with charm and enjoyment. 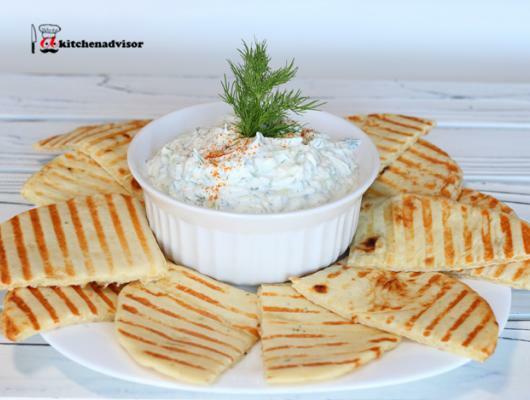 As I mentioned before, Tzatziki dip goes well on all kinds of meat – chicken, beef, pork and lamb. It’s particularly good with grilled meat. No doubt, gyros are the best. As it is an appetizer you can serve it as a vegetable dip. The best and the most traditional way to use it is to dip pita bread into it. This is very similar to other popular appetizer dips like hummus and baba ganoush. In addition to the homemade Greek Tzatziki sauce get other delicious and healthy appetizers such as Stuffed Mushrooms with Cheese and Garlic, Fruit Platter or Vegetable Tray . Tzatziki sauce is yummy to taste and easy to make. Also remember that the Mediterranean cuisine is one of the healthiest on this planet as it includes a lot of vegetables and fruits. Stay tuned as the list of our simple step by step recipes is updated periodically. Don't miss our popular posts and videos with the only one intent in mind: "Best recipes for busy families".